Are you in the process of hiring an electrician to help you to bring more light into your home or office building? If so, then you need to be on the lookout to avoid common scams, as well as to ensure you get the quality of work that you deserve. In order to avoid being taken advantage of, it's essential to know what you need to ask. The right questions will help you to evaluate both the capabilities and the level of service you can expect from a potential electrician. In this post, we'll tell you everything you need to know to find the top electrician in Texas. Whether you need commercial or residential work completed, make sure you ask these seven questions before you book a service call. When you're considering working with a potential electrician, the first question you ask should be about a company's license and insurance policies. The last thing you want is to end up financially responsible for a worker who got injured on your property. You also don't want to have to pay for any damage that an electrician causes to your property. Additionally, be aware that, while Texas law doesn't require electricians to have a license, you should still ask what sort of qualifications and training a potential company requires its employees to have. Ask about any exams, certifications, and other qualifications the electricians working on your property possess. 2. "Can I Speak To Past References?" When you're searching for the right electrician, ask if you can speak to at least three past references. That way, you can understand the level of service that you'll likely receive. When you're speaking to these references, ask how long the project took. Also, be sure you ask about the overall cost of the project, and whether or not there were any hidden fees. Finally, ask whether or not the reference would work with this electrician again in the future. 3. "Do You Conduct Employee Background Checks?" This might not seem like an important detail. However, the unfortunate reality is that some untrustworthy contractors who are left alone in your home will steal your personal belongings. You need to be sure that the electrician you're working with has done its due diligence when it comes to hiring its employees. Ask how their screening process works, as well as whether or not they conduct background checks. 4. "Can You Offer Any Guarantees Or Warranties?" When you reach out to a potential electrician, make sure you ask about any potential guarantees or warranties that they offer. If something goes wrong with the project a few days after it's completed, you want to be sure the electrician in Texas you hired won't disappear. Ask if they're willing to come and fix problems caused by faulty installation without any cost to you. Additionally, ask about any sort of warranty that they place on their work. You need to be sure that the company you decide to work with is willing to stand behind the quality and dependability of their work. 5. "What's Your Experience With The Specific Project I Need?" When you're on the hunt for an electrician in Texas, you need to ask about their overall experience with the kind of work that you need done. Do they have experience with new commercial construction, or can they help you with the commercial electrical maintenance that you require? If the services you require are for a residential property, can they help you to install ceiling fans, LED lighting, perform a general home safety check, or even wire your new appliances? Ask about the average length of the project that you need completed, as well as when they'll be able to get started. Ask about how many of past projects they've completed that are similar to your own, as well as any potential problems that you should be prepared to run into. 6. "Can I See A Portfolio Of Your Past Work?" Another important question you need to ask a potential electrician in Texas? In order to get a feel for both the quality and the overall style of their work, you should always ask to see a portfolio of their past projects. This portfolio should provide a brief description of the kinds of services they provided, the location of the work, and the name of the general contractor in charge of the project. This will help you to determine if you're satisfied with the level of execution that the electrician is clearly able to provide for clients. 7. "How Can I Book Your Services?" 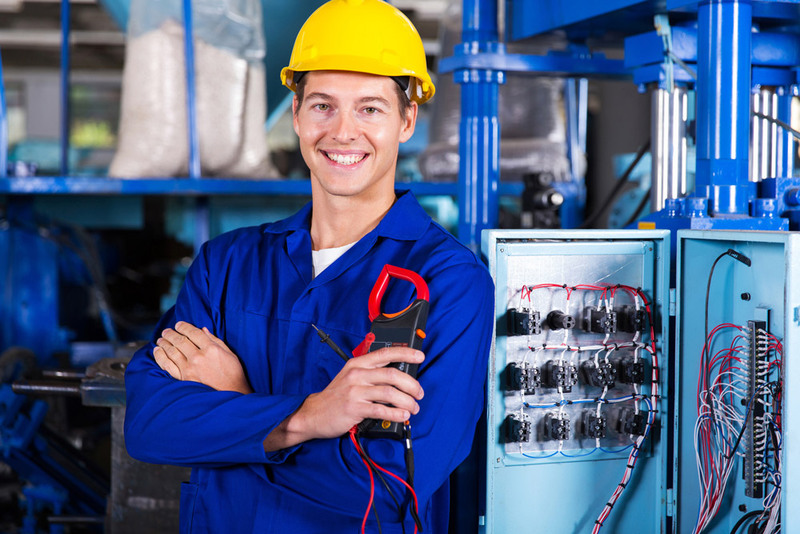 Once you've decided that you've found the right electrician in Texas? It's time to ask about how you can book their services. In most cases, this can be done online, through a form on the company's website. You should be prepared to provide a brief description of the services that you need. You can also specify whether the work you need is residential or commercial. If you have more immediate needs -- especially relating to safety? Reach out to the electrician over the phone. Ask if they can provide you with an in-person estimate regarding the probable cost of your services, as well as with a timeline about how long the project will take. Need To Hire The Right Electrician In Texas? We hope that this post has helped you to understand the seven most important questions that you need to ask a potential electrician in Texas. Remember to ask about a company's insurance and licensing, their overall experience level with the project you need, and whether or not they conduct background checks on employees. Also, ask about potential warranties, as well as to see a portfolio of past work. Looking for reliable commercial and residential electrical services? If so, reach out to us to book a service call today.